The Department of Foreign Affairs and Trade (DFAT) has made available a portal which allows you to find information about existing free trade agreements between Australia and other nations but also assistance and information for importers and exporters. The FTA Portal enables businesses to explore the benefits made available under Australia’s Free Trade Agreements (FTAs) with China, Japan and South Korea. While the FTA Portal currently showcases the North Asian agreements, additional agreements are coming soon. The FTA Portal is a comprehensive resource for exporters and importers, who are looking for up-to-date tariff and import market data and general trade related information, that is simple to use on desktop, tablet and mobile. As always, ActivFreight are here to help and if you have any questions about the information on the portal feel free to get in contact with us. Some more photos for you all today, this of a job in Sydney were we undertook a disassembly/unpack job for the client. We wanted to share a few photos from a job we are currently undertaking, we will share more details with you all soon. Bill of Lading—If Activfreight arrange the shipping, we will arrange for the bill of lading to be cut and a copy will be provided to the shipper and importer. Commercial Invoice— issued from by the supplier to the buyer. Needs to be in English, showing the value of the units (any currency is acceptable, currency to be stated). Packing Declaration—if the cargo has been packed into a shipping container (LCL/FCL), a packing declaration must be completed by the company that packed the container prior to Export. If untreated timber is used for securing the load fumigation will be required, this can be arranged at origin port or at arrival port. AQIS requires a fumigation certificated to be presented on arrival if fumigation done prior to departure. It is Necessary to have a link between the commercial documents and the Bill of Lading (Container Number / Bill of Lading Number). To avoid Fumigation formalities, Activfreight suggest that the importer request their supplier use plastic pallets when packing the cargo for shipping. Going a step further the supplier should then acknowledge the use of plastic pallets on all documentation (Bill of Lading, Commercial Invoice and Packing List). New / Unused Declaration—For New goods, a statement is to be provided on company letterhead “(cargo) arenew and unused, never field or factory tested”. This declaration is to numerically link to the Cargo that is NEW. Air Conditioning Degas Certificate—CFC, HCFC and HFC propellants for air conditioning units are prohibited from being bought into Australia. There are 2 options for handling these gases in units. DEGAS prior to Export, a certificate must be provided by the company that handled degassing (again numerical link to the machine). LICENSE, the Department of Environment and Heritage (DEH) issues periodic licenses to importers to cover the units on arrival. Activfreight can apply for the license on the importers behalf. If the units have not ever been gassed a statement linking to the unit should be supplied stating this. MVSA Permit—Australian Customs require a MVSA permit to be presented for any vehicle that can be driven on the road and will be road registered. The permit is applied for via Department of Transport, and can only be completed by the importer. This includes Trailers, Recreational Vehicles, ATV’s, Trailer mounted Machines. AQIS Permit—For USED machinery only. Activfreight can apply on the importers behalf, valid for a 12 month period. Our experienced freight consultants and licensed customs brokers will explain any other documentation required at time of quoting taking into consideration your cargo type and information provided at this time. EXW (Ex Works) – All costs and responsibility lie with the buyer. These include but are not limited to arranging collection from the supplier, transport to port, export clearance, freight charges, insurance, import customs clearance and delivery. CFR (Cost and Freight) – Ownership transfers from the seller to the buyer at the specified port. The seller pays the freight costs to the port. The buyer is responsible for arrival charges, clearance and domestic transport. CIF (Cost Insurance and Freight) – Ownership transfers from the seller to the buyer at the specified port. The seller pays the freight costs and bears the insurance risk to that location. The buyer is responsible for arrival charges, clearance and transport from the port to destination. FOB (Free on Board) – The seller is responsible for delivery to the wharf or airport, export clearance and loading onto the vessel or aircraft. The buyer pays the cost of freight from that point on. Ownership and risk is transferred at ‘the shipper’s rail’. This literally means that if the container is damaged on the wharf it is at the seller’s risk, if it is damaged on the vessel, it’s the buyer’s risk. 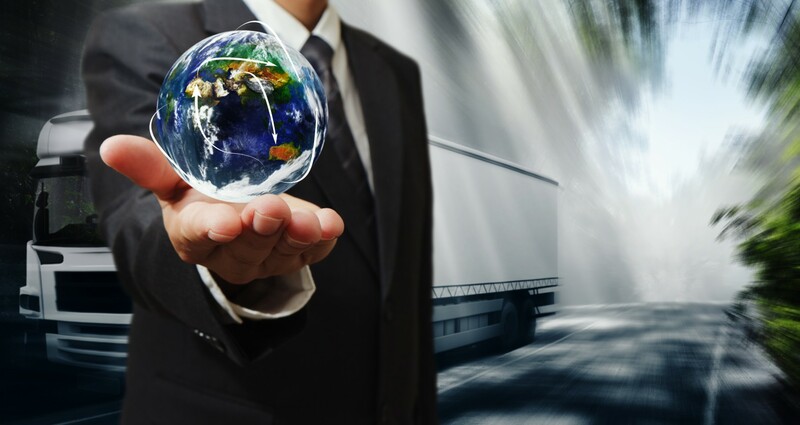 Overwhelmed by the Process of Importing and Exporting? Activfreight aim to make the process as transparent as possible with a number of handy tools and resources to help you. Through our unique client management system you’ll have an Account Manager watching your shipment every step of the way. However it’s important to us that you have a relationship with the team at Activfreight and not just one person. Because of this we make sure our Sales Support Team are kept up to date with your consignment also, so if you do need to call, there is at least two people at any one time that can assist you with your enquiry. Your success is our success. The Activfreight team will work towards the best solution to meet your needs in the most cost effective way possible. With collective industry knowledge of over 102 years in our senior team alone, you can rest assured you’re in safe hands. A single staff member will be appointed to look after you personally – from your initial enquiry through to completion of your consignment. Activfreight provides a full range of Sea freight and Air freight, import and export freight forwarding, Customs and DAFF clearance services. The team at Activfreight work with your business to provide shipping solutions that best suit your needs, catering to all business types and sizes. We will not give you a service offering with the expectation you will fit in with that offering. One of our experienced freight consultants will look at your business and develop a solution that best suits you, offering a very personalised service to get to know every facet of what is important to you and your business. Whilst our major strength and principal focus has been shipping from and to all major Asian ports, both USA and Europe also figure strongly to our volume growth. With agents all over the world, our business reach allows us to tap into local knowledge, on the ground where you need it, without having to carry the expense of running our own offices in these countries. Our agents have been hand selected to ensure they understand and deliver the same level of service and support you can expect from Activfreight. Who does your Customs Broker Work for? I have just finished reading an article in today’s Lloyds List Australia publication, which lands in my inbox daily with a feed of news for our industry. The article is entitled “OPINION: Customs puts the spotlight on brokers” and provides some commentary in relation to new legislation for customs brokers to comply with. Without going into specific details of the new legislation, to summarise, customs brokers now have to attend regular training (delivered in a number of methods, via internet and “classroom” training) all with a points structure attached to the training sessions. These points are known as CPD points (Continuing Professional Development), Individual brokers are required to achieve a certain amount of points annually. In conjunction with the CPD Points, customs have also been very vocal with their intention to assess the extent of ‘due diligence’ checks by licensed brokers on their clients. The article highlights the fact that for many importers the actual clearance of the goods through Australian borders is arranged by the freight forwarder shipping the goods from the originating country, rather than the importer engaging the service of a Customs Broker directly. In a number of transactions the Importer may never in fact even speak directly to the Customs Broker. With all of this in mind, it really posed the question for me “who does your customs broker work for?” Is it the importer, is it the freight forwarder or is it customs? Yes the importer pays the professional fees for the broker to make a declaration, but it is the freight forwarder who has engaged the brokers services. How many importers actually speak directly to the broker, or is all communication via your freight forwarder? Many importers may not realise they are being “spoken for”, and this can have some detrimental effects on an importers business. Is the correct duty rates being charged, is all applicable Tariff concessions being applied, I believe that some importers take for granted that all of the correct information is given to customs therefore there is little follow up done in these cases. The unfortunate fact is that if customs (through the new legislations and follow up procedures) find that a broker is not carrying out due diligence and declared an import incorrectly, the department will not only follow through with penalties for them but you as the importer will be asked to pay any shortfall of duties and taxes as well as possible penalties. I cannot tell you how many times we have been met with “Previous Brokers have never asked that question before”, like we are doing something wrong by ensuring that the importer is properly represented. If your Freight Forwarder is not asking questions and really getting to know your business and its products, then there is something wrong!! !